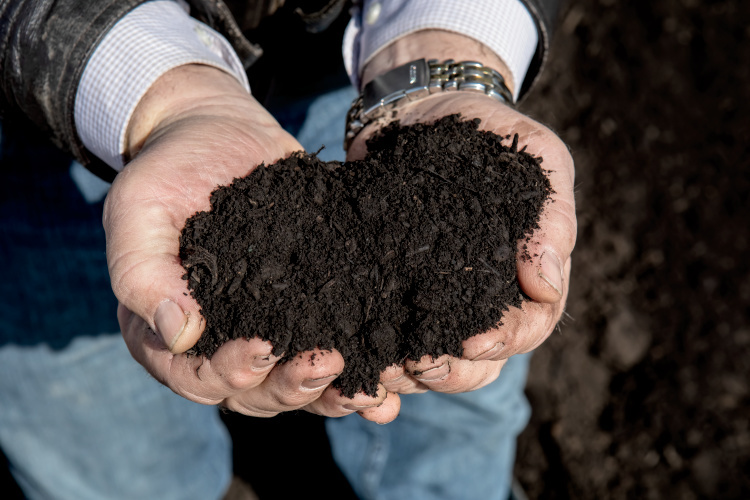 Peoria County farmer Paul Rosenbohm can thank his neighbor Mrs. Phillips, a long-neglected neighboring farm and an overabundance of dairy cow manure for his successful compost business. Nearly 30 years ago, Rosenbohm and his brother needed more land to spread the waste from their cows. When the farm adjacent to theirs came up for auction, Rosenbohm bought it primarily for a manure repository. Believing all his neighbors had air conditioning, Rosenbohm spread a particularly aromatic load of manure on his new fields on the first warm day of summer. The next morning, Rosenbohm’s phone rang. 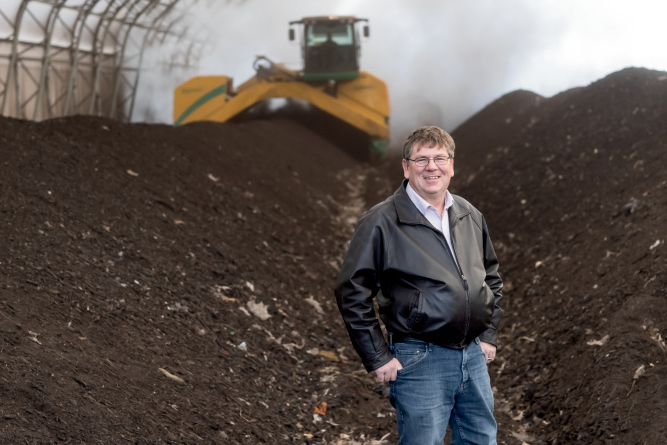 After consulting with successful composters nationwide, including an expert at Illinois State University, Rosenbohm began making his own compost and incorporated a business, LHF Compost. His EPA-approved product, which he brands as BetterEarth Compost, is made from yard waste, food scraps (from restaurants, grocery stores, and university and corporate food services) and pumpkin waste from Peoria-area processors. Compostable tableware also gets thrown in. Last year, Rosenbohm collected all the tableware and recyclable material from a Peoria County Farm Bureau breakfast. 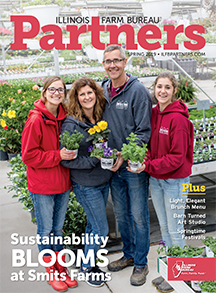 BetterEarth compost is sold at dozens of garden centers and hardware stores in the Peoria area, as well as select locations in Galesburg, Jacksonville, Macomb and Springfield. 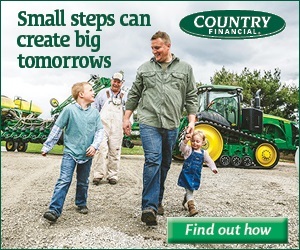 To find out where to buy, visit betterearthcompost.com or call (309) 697-0963. 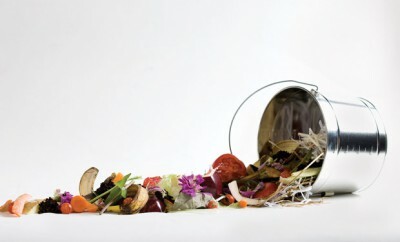 Composting is Mother Nature’s recycling. Over a period of months, organic material, such as grass, leaves and food scraps, decomposes. Adding water and turning the material regularly using windrows helps speed things up, but the entire process depends on microorganisms to break down the organic matter into compost. 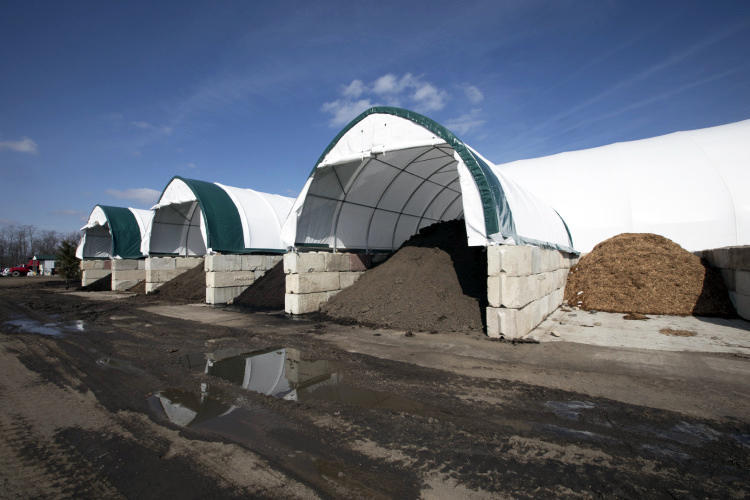 LHF receives about 60,000 cubic yards of material a year, and after the microbes do their job, Rosenbohm has between 15,000 to 20,000 cubic yards of compost. He sells BetterEarth in bags at retailers throughout central Illinois and in bulk to homeowners, landscapers and contractors.